"If we have a trader that trades bitcoin, I would fire them in two seconds", claimed CE of JP Morgan Chase & Co, Jamie Dimon, who also called the cryptocurrency a "fraud". Despite these extreme comments, Morgan Chase's relationship with bitcoin has recently come into question, following the revelation that the firm has invested in the technology which underpins bitcoin transactions. Bitcoin first entered the financial scene back in 2009, as software released by an undisclosed developer. Bitcoin represents the first ever decentralized digital currency and differs from other digital exchanges in that users trade directly, with no intermediary as with traditional online transactions. 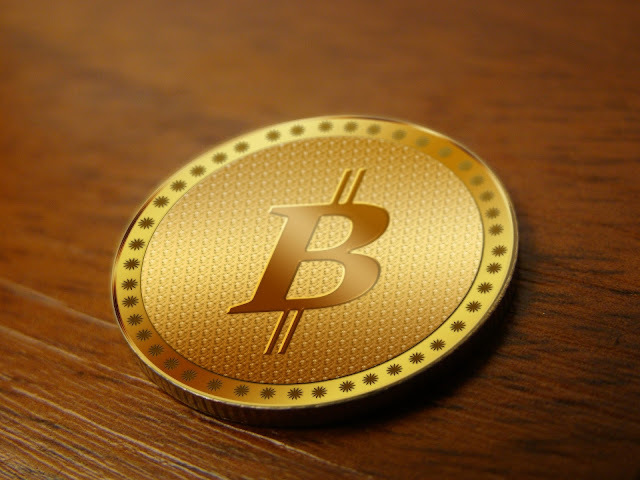 The currency's popularity quickly grew – as of February 2015, 100,000 vendors accepted bitcoin payments. What is Bitcoin? This is one of the biggest question being asked by many investors and cryptocurrency enthusiasts. Bitcoin is currently the most popular cryptocurrency that can be traded on blockchain network. The currency is virtual however you can transact on it for real money. In recent past, many merchants have started accepting bitcoin as a payment method. This is mainly due to the popularity of cryptocurrency. Blockchain technology is considered as a secure way of doing a transaction for cryptocurrencies. The blockchain network concept has been reviewed and evaluated by many security experts and they all agree that it very difficult to hack. However, because it is decentralized, and remains largely unregulated, bitcoin has been implicated in a number of money laundering, hacking, and drug trafficking operations. For this reason, reputable financial companies, including CMC Markets, the firm responsible for the first online exchanges, have been skeptical about the currency. This group of companies included JP Morgan & Chase Co, yet it has emerged that the firm has been investing in "blockchain" – the technology which supports and records bitcoin transactions. A Morgan & Chase spokesperson has claimed that the tech could be used for trades which do not involve bitcoin, but these investments, some argue, fly in the face of Dinmon's own comments about the illegitimacy of bitcoin. Other large financial firms in the US, such as Morgan Stanley and Goldman Sachs have also been involved with the trade of bitcoin, acting as brokers on the Stockholm market, according to the Swedish online bank, Nordnet AB. Other companies still are beginning to get involved with bitcoin, more openly. The exchange company, CBOE Holdings Inc. recently applied with US regulators to handle a bitcoin futures contract. CBOE Holdings' CEO, Edward Tilly, has claimed that "like it or not, people want exposure to bitcoin". The value of bitcoin itself has been fluctuating lately, falling from $4,200 to $3,000 in the wake of Dinmon's comments, combined with a reported crackdown on exchanges of the currency. However, its value has since sprung back to $4,025 dollars, implying renewed faith in its value. The concept of a universal currency, without a centralized authority, presiding over it, is clearly seen as an advantage by many who choose to use it. Bitcoin also allows its users the advantage of being able to transfer money anywhere in the world at any time conveniently. The relative anonymity of bitcoin use, which ties transactions to a random 33-digit "address" rather than a personal identity, is another draw for users. The public ledger which records all bitcoin transactions throughout the globe – the "blockchain" technology mentioned earlier – supposedly reduces the threat of fraud, although since the technology is still relatively new this is not always the case. Finally, accepting bitcoin as payment is often beneficial to merchants, since processing these transactions incurs fewer fees than processing credit card payments. Although the use of bitcoin clearly has certain benefits, there are also drawbacks, which have so far ensured financial companies are wary towards the new currency. Firstly, the fact that many people are as yet unaware that bitcoin exists acts as a serious drawback. The list of vendors and service providers who accept bitcoin payments and the number of consumers in possession of the currency remains very low, discouraging companies from adopting the capability to use it. In addition, the number of complaints made about digital currencies such as bitcoin has been on the rise. In the United States in 2016, 425 formal complaints were made to the Consumer Financial Protection Bureau concerning the currency, a huge spike compared to previous years. Although this could be attributed to the teething problems common to new technologies, it still explains businesses reluctance to approach bitcoin. These teething problems are extensive – in February 2017, $1 billion worth of bitcoins were stuck in transaction backlogs. The backlogs were essentially the result of a system not designed to cope with the current large volume of transactions – the fact that bitcoin has seen a spike in its number of users appears to be both an advantage and a drawback. Bitcoin's popularity continues to grow, prompting the Bank for International Settlements to argue that banks ignore the rise of digital currencies at their own risk. In the meantime, institutions such as JP Morgan & Chase will need to be clearer with their stance on current cryptocurrencies. Updated article on Feb 2018 - Added more details and updated links.